One of the most beautiful mountain Amadablam base camp trek is still less trekking destination it’s more popular for technical climbing in the Everest region. Exacting fly to Lukla (2827 m) with spectacular views of the high mountains in the world. Amadablam base camp trek. We hike through the Dudh Koshi valley to the Sherpa settlement of Namche Bazaar (3440 meters) an unofficial capital of the Sherpas kingdom where we have separated two nights stay for proper acclimatization and exploration to spectacular view on Everest view point. Trekking through the lovely forest to the world renowned and sacred monastery of Thyangboche (3867 m) is rewarded with the stunning views of Everest soaring behind Nuptse, Lhotse, Amadablam, Kangtega and Tawache making a panoramic Himalayan paradise . We ascend from Pangboche to the alpine camp on the flanks of the beautiful Amadablam technical climbing peak base camp, away from the popular trail to savor the Himalayas’ wonder. The traditional Sherpa village of Khumjung shows you the Sherpa life style and memories of the Sir Admand Hillari and the three hundreds old monastery called Yeti scalp place. 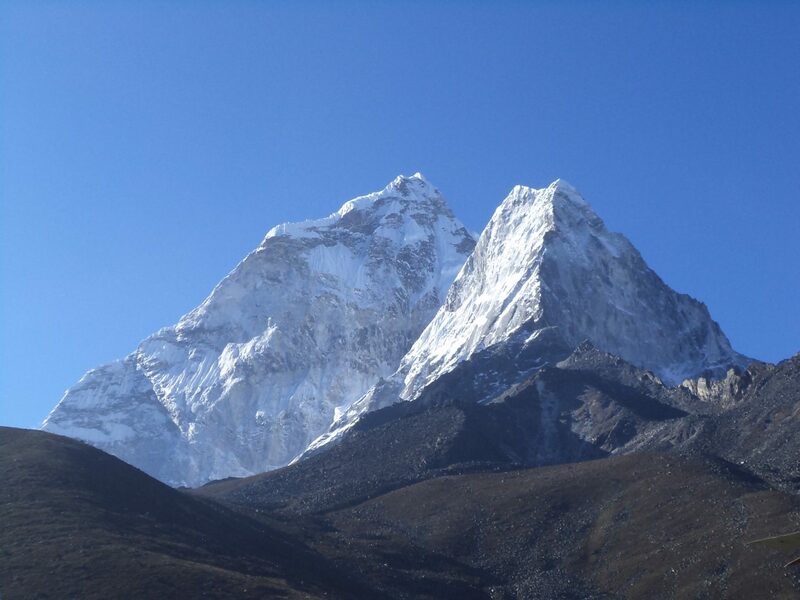 after your memorable trek makes you the exhilarating Amadablam base camp adventure in your lifetime in Everest region.